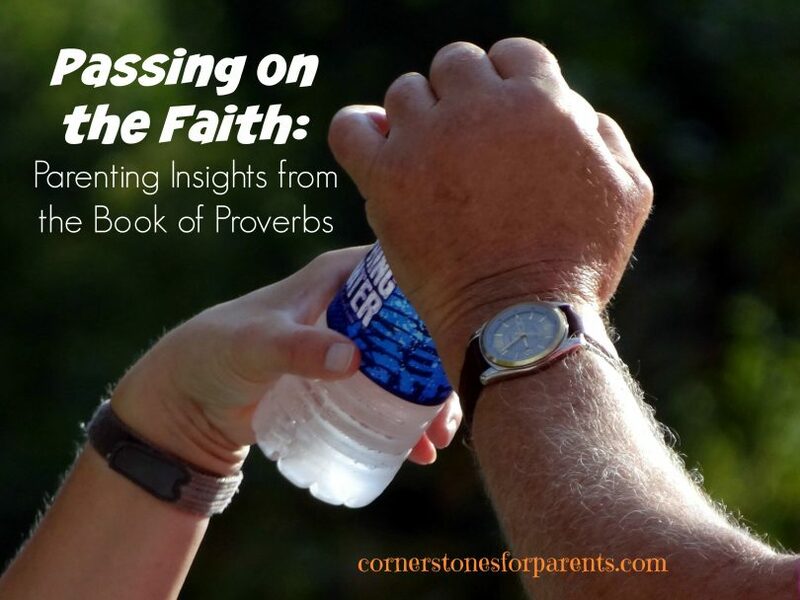 The book of Proverbs is a collection of wise sayings and insights that are written almost like a journal from a father to a son. God gifted Solomon with an abundance of wisdom – so much so that people came from all over the earth just to hear what he had to say. Many of the proverbs start with “my son.” Scholars don’t know if Solomon was writing to his sons specifically or if this term was in reference to a collective youth that he was addressing. Solomon had so much to share. And God has given us a lot to share too. God charges Christian parents with a mandate to share their faith with their children (Deut 6:9). How well are we doing at passing on our faith? Below are some questions to ask yourself. This is by no means and exhaustive list and I fail in more ways than I would like to admit, but it is a place to start. The Christian walk requires honest self-evaluation if we are to allow the work of the Spirit to change and shape us. 1) Do my kids see that Jesus is important to me, not just as a historical figure, but as a personal friend? 2) Do my children see me praying and reading God’s word on a regular basis? 3) Do my spouse and I do a good job of representing the one-ness of the Trinity in our marriage? 4) Have I helped my children understand that their faith is unique and personal and may not look like mine? 5) Do I see my goal as a Christian parent to remove myself from the relationship triangle between me, God and my child, leaving just my child and his Lord? 6) Do we marinate our family in the love of Jesus by supporting music, books and movies that uphold His standards and ways? 7) Do we serve together out of joy, not compulsion? Do my kids see me serving others with joy? 8) Do we regularly gather with other believers out of an authentic desire to grow in Christ? 9) Am I doing my best to make the word of God relevant to the lives of my children? Do I focus on head knowledge or heart transformation? 10) Do I look my children in the eye regularly and tell them that God loves them and has a plan for their lives? Do I believe and live this out myself? 11) Do I extend the same grace to my children and others that has been extended to me? 12) Do I model and receive forgiveness with a repentant heart? Do I offer forgiveness? 13) Do my children know the story of how God has worked in my life? 14) If appropriate, do I openly share with my children the things that God is currently working on in my heart? If you have made it to the end of this list and couldn’t answer yes to even a single one of these, please don’t despair. God does not want you to live in a place of defeat. The enemy sure would, but your loving Father does not. Talk to God openly about your struggles with your own faith and the barriers to passing it on to your children. Maybe you feel that you need to have it all figured out in order to be in a position of spiritual guide for your children. This, my friend, is not the case. We are all a work in progress. This side of heaven we are never going to achieve a sense of completeness. Forgive yourself for your shortcomings and reach out to the Lord to make up the difference. That is what I plan to do. Will you join me?